Families are now shopping for funeral homes online. Be the Funeral Provider of Choice in your area! Funeralocity brings you more business, higher revenue, greater market share… all risk-free. Online comparison shopping is now the new “Main Street” for everything from food to travel to funeral care. 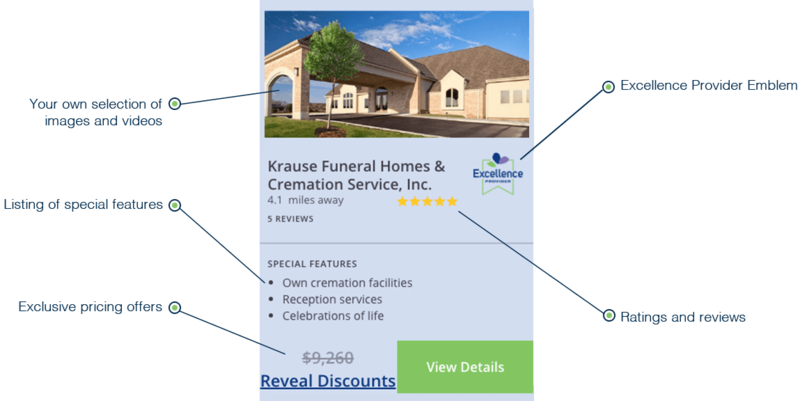 With Funeralocity, your funeral home or cremation service can thrive in this new marketplace. Join the Funeralocity Excellence Provider Program – the easiest risk-free way to promote your business. No upfront fees, listing charges or subscriptions. You pay only when we deliver. Make your funeral home or cremation service stand out. Funeralocity brings you more business AND higher profits. The most profitable business you can get is the business we bring you. That’s because it’s all in addition to your usual business. Since your fixed expenses are already met through your usual business, any additional income above and beyond that bears only the variable expenses related to the funeral itself, leaving you a higher percentage as profit. Funeralocity is THE new online marketplace for funeral providers. 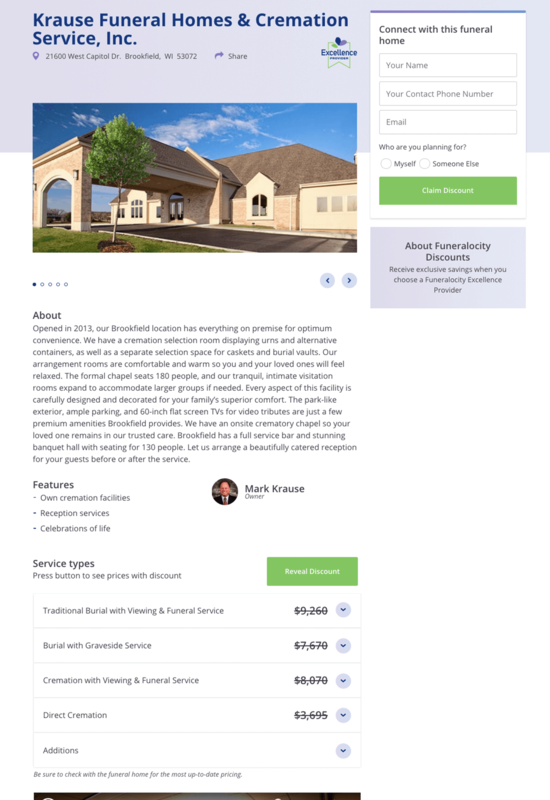 Designed in cooperation with the leading experts in the funeral profession, successfully test-marketed prior to its national launch, and set for a major consumer marketing program, Funeralocity is establishing itself as the default online third-party marketplace for funeral home comparison shopping. Your membership means Funeralocity will start sending families that choose your funeral home your way right away. Funeral Home name cannot be blank. I accept and agree to the Summary of Terms, Terms of Service and Funeralocity Excellence Program. You must agree to Terms of Service and Funeralocity Excellence Program to apply. Please allow 24 - 48 hours for response to your inquiry.